She's a voracious reader, my girl. Ever since she turned the first page all by herself, she just can't seem to get enough of words...beautifully woven words. The stories and plots have crafted her. Each wonderfully painted character has left an indelible mark on who she is and who she will become. She's read a lot of books and has grown much over these past few years. Many of her first loves are packed away. Boxed up, but not forgotten. Maybe someday, she'll be able to share them with her own little girl, just as I was able to share them with her. 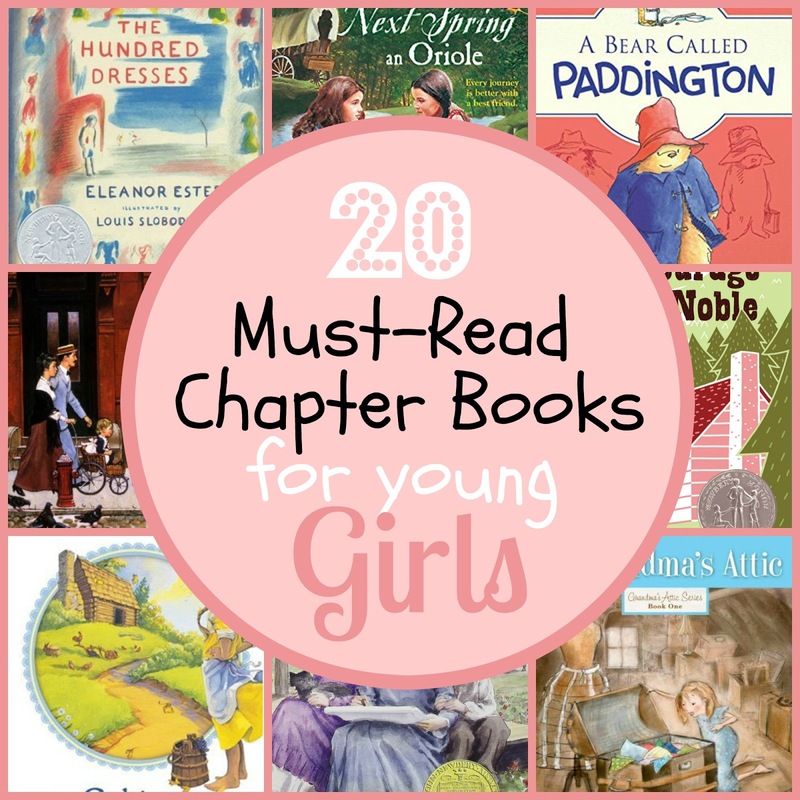 But, in the meantime, I know she'd love for other young girls to use them in creating their own literary adventures. Here are 20 of her much loved treasures of yesterdays. No Twaddle. Just Excellence. 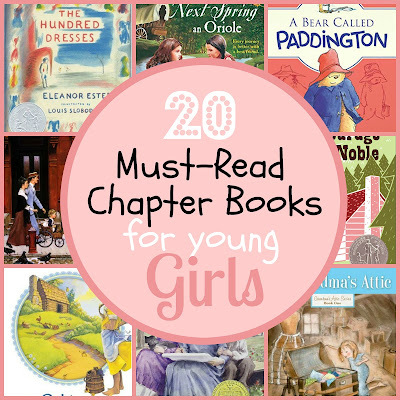 Be sure to also check out my 20 Must-Read Chapter Books for Young Boys. Hooray! 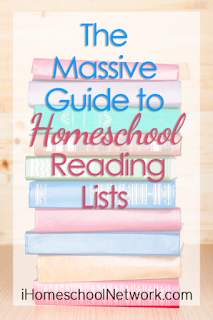 We've always already read everything on favorite book lists, but you have two on your list we haven't discovered yet. (My first 6 kids are girls!) I'm off to the library website to put them on hold. :) Thank you! You are most welcome. I hope you enjoy the two. Happy reading!